Note: A minimum quantity of 60 must be ordered, and in units of 10 thereafter. 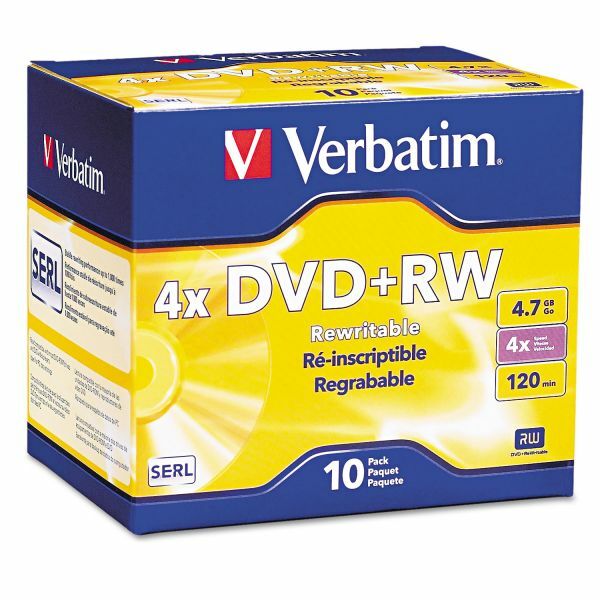 Verbatim DVD+RW Discs, 4.7GB, 4x, w/Slim Jewel Cases, Pearl, 10/Pack - Branded DVD+RW features 4.7GB capacity and 1X to 4X recording speed and comes in jewel cases. Compatible with 4X speed DVD+RW writers. Super Eutectic Recording Layer optimizes read/write performance and durability. Superior Archival Life.